IC, Scientific Information and Communication Journal has set up an open section which welcomes relevant scientific, journalistic, artistic and social contributions outside the competitive logic which nowadays dominates the field of academic publications. We advocate the margins as positive and productive spaces; key sites which remind us of the intense transformation undergone within the scientific landscape. We wish to define a zone to host contributions from academics, artists and social activists whether they are students, early career researchers or established academics. The publication of documents, texts, photographs or audiovisual pieces in the “Margins” section is not subject to periodicity standards as they do not belong to IC, Scientific Information and Communication Journal, but rather form part of its blog. We aim to publish here critical texts which might contribute to social and academic knowledge in the field of communication studies. We are talking about journalistic, essayistc, academic and even propagandistic texts, as long as they are useful and represent significant contributions to key contemporary debates. Length might vary (2,000 – 5,000 words). The editorial team might also, and exceptionally, accept longer contributions. We welcome texts, graphic documents and audiovisual pieces in either English or Spanish. Interested authors can address any requests, contributions or questions to info@ic-journal.org. Paula Velasco, (2013), “Valores estéticos e informativos en el fotoperiodismo: algunas tendencias en las representaciones del dolor“. Mª Ángeles Fernández Barrero (2014), “Manuel Carlos Fernández Sánchez, cineasta y divulgador del cine andaluz. 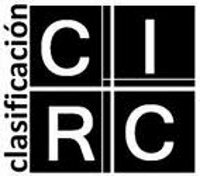 Análisis de la vinculación del autor con la prensa provincial de Cádiz”. 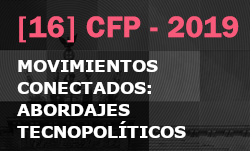 Celia Díaz-Rodriguez y Esther Sanz (2014), “Soluciones creativas y colectivas a la crisis en el sector de la comunicación: el modelo SBP-CA”. Andrés Vázquez de Sola (2015), “La sátira no está reñida con el respeto a la verdad”. Iara Rosa Farias (2017), “Información y política en Facebook brasileño”.